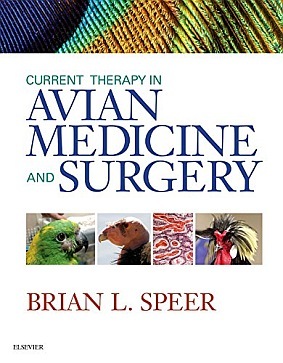 ・The Current Therapy format provides current, up-to-date, succinct and clear information pertinent to the medical and surgical care of avian species. ・Coverage of clinically significant topics includes current veterinary scientific literature and hot topics relating to today's avian medicine and surgery. ・Coverage of a wide variety of bird species includes psittacines, pigeons, raptors, ratites, waterfowl, gallinaceous birds, and less common species. ・More than 800 full-color images show avian disease, management strategies and thought processes, and aid in formulating guidelines to care. ・World-renowned, expert contributors provide cutting-edge information, offering authoritative, accurate, and sometimes controversial opinions in many areas of study. ・Summary tables simplify the lookup of key facts and treatment guidelines. ・References in each chapter facilitate further reading and research on specific topics.